For the 1950s Arizona governor, see John Howard Pyle. In 1894 he began teaching illustration at the Drexel Institute of Art, Science and Industry (now Drexel University). After 1900, he founded his own school of art and illustration, named the Howard Pyle School of Illustration Art. The scholar Henry C. Pitz later used the term Brandywine School for the illustration artists and Wyeth family artists of the Brandywine region, several of whom had studied with Pyle. Some of his more notable students were N. C. Wyeth, Frank Schoonover, Elenore Abbott, Ethel Franklin Betts, Anna Whelan Betts, Harvey Dunn, Clyde O. DeLand, Philip R. Goodwin, Thornton Oakley, Violet Oakley, Ellen Bernard Thompson Pyle, Olive Rush, Allen Tupper True, Elizabeth Shippen Green, Arthur E. Becher, William James Aylward, and Jessie Willcox Smith. Pyle's home and studio in Wilmington, where he taught his students, is still standing and is listed on the National Register of Historic Places. His 1883 classic publication The Merry Adventures of Robin Hood remains in print, and his other books, frequently with medieval European settings, include a four-volume set on King Arthur. He is also well known for his illustrations of pirates, and is credited with creating what has become the modern stereotype of pirate dress. He published his first novel, Otto of the Silver Hand, in 1888. He also illustrated historical and adventure stories for periodicals such as Harper's Magazine and St. Nicholas Magazine. His novel Men of Iron was adapted as the movie The Black Shield of Falworth (1954). Pyle travelled to Florence, Italy in 1910 to study mural painting. He died there in 1911 of a sudden kidney infection (Bright's Disease). Pyle was the son of William Pyle and Margaret Churchman Painter. As a child he attended private schools. He was interested in drawing and writing from a very young age. He was an indifferent student, but his parents—particularly his mother—encouraged him to study art. For three years he studied at the studio of F. A. Van der Weilen in Philadelphia. Aside from a few lessons at the Art Students League of New York, this constituted the whole of his artistic training. In 1876 he visited the island of Chincoteague off Virginia. Inspired by what he saw, he wrote and illustrated an article about the island and submitted it to Scribner's Monthly. One of the magazine's owners, Roswell Smith, encouraged him to move to New York and pursue illustration professionally. Pyle initially struggled in New York; his lack of professional experience made it difficult for him to translate his ideas into forms for publication. He was encouraged by several working artists, including Edwin Austin Abbey, A. B. Frost and Frederick S. Church. He finally published a double-page spread in the Harper's Weekly issue of March 9, 1878, and was paid $75—five times what he had expected. He became increasingly successful, and by the time he returned to Wilmington in 1880, he was an established artist. He married the singer Anne Poole on April 12, 1881. The couple had seven children. Pyle continued illustrating for magazines. He also collaborated on several books, particularly in American history. He wrote and illustrated his own stories, beginning with The Merry Adventures of Robin Hood in 1883. This book won international attention from critics such as William Morris. Over the following decades, he published many more illustrated works for children, some of which are still in print today. In 1889 Pyle and his wife sailed to Jamaica, leaving their children in the care of relatives. While they were overseas, their son Sellers died unexpectedly. This loss may have inspired Pyle's children's book, The Garden Behind the Moon, which is about death. From 1894–1900 he taught illustration at the Drexel Institute. In 1900 he created his own school in Wilmington, where he taught a small number of students in depth. In 1906, he took up mural painting, which was popular for public art. 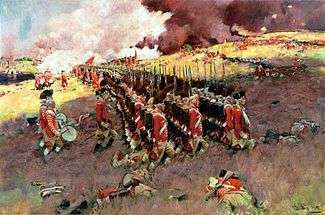 He painted The Battle of Nashville in the state capitol of Minnesota, and two other murals for courthouses in New Jersey. 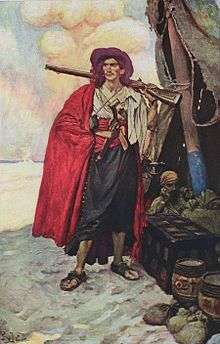 Pyle developed his own ideas in illustrating pirate dress, as few examples survived and few, if any, drawings of authentic pirate dress had been preserved. He created a flamboyant style incorporating elements of Gypsy dress. His work influenced the design of costumes for movie pirates from Errol Flynn to Johnny Depp. It has been noted as highly impractical for working sailors. In 1910 Pyle and his family went to Italy, where he planned to study the old masters. Suffering poor health, he felt depressed and drained of energy. After one year in the country, he suffered a kidney infection and died in Florence at the age of 58. In addition to numerous illustrations done for Harper's Weekly, other periodical publications, and various works of fiction for children, Pyle wrote and illustrated a number of books. Pyle synthesized many traditional Robin Hood legends and ballads in this work, while toning them down to make them suitable for children. For instance, he modified the ballad "Robin Hood's Progress to Nottingham", changing it from Robin's killing fourteen foresters for not honoring a bet, to Robin's defending himself against a band of armed robbers. Pyle has Robin kill only one man—who shoots at him first. Tales in which Robin steals all that an ambushed traveler carried, such as "Robin Hood and the Bishop of Hereford", are changed so that the victim keeps a third, and another third is dedicated to the poor. Pyle did not have much concern for historical accuracy, but he renamed the queen-consort in the story "Robin Hood and Queen Katherine" as Eleanor (of Aquitaine). This made her compatible historically with King Richard the Lion-Hearted, with whom Robin eventually makes peace. Many of the tales in the Robin Hood book dated to the late Middle Ages. His achievement was to integrate them into a unified story, which he also illustrated. For example, he included "The Adventure with the Curtal Friar" in the narrative order to reintroduce Friar Tuck. Pyle needed a co-operative priest for the wedding of outlaw Allan a Dale (Pyle's spelling of the original Alan-a-Dale) to his sweetheart Ellen. In the original "A Gest of Robyn Hode", the life of an anonymous wrestler, who had won a bout but was likely to be murdered because he was a stranger, is saved. Pyle adapted it and gave the wrestler the identity of David of Doncaster—one of Robin's band in the story "Robin Hood and the Golden Arrow". In his novelistic treatment of the tales, Pyle thus developed several characters who had been mentioned in only one ballad, such as David of Doncaster or Arthur a Bland. Men of Iron is an 1891 novel about a squire, Myles Falworth, who hopes to become a knight, thereby redeeming his family's honor. Myles's father was falsely implicated in a plot to kill King Henry IV. The adventure tale follows Myles through his intensive training for knighthood, and ends with the young beknighted Myles challenging the wicked Lord Brookhurst Alban to trial by combat. The novel was adapted into a 1954 film entitled The Black Shield of Falworth starring Tony Curtis and Janet Leigh. Otto of the Silver Hand, about the life of the son of a robber baron during the medieval period. Rejected of Men: A Story of To-day (1903), setting the story of Jesus as if it had occurred during early twentieth-century America. The Wonder Clock (1887), a collection of twenty-four tales, one for each hour of the day. Each tale was prefaced by a whimsical verse telling of traditional household goings-on at that hour. His sister Katharine Pyle wrote the verses. Pyle created the tales based on traditional European folktales. Pepper and Salt, or Seasoning for Young Folk, traditional tales for younger readers, which he also illustrated. 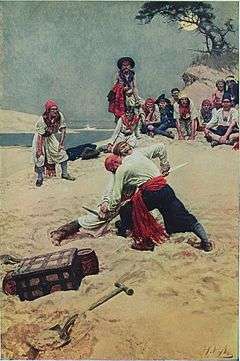 After his death, a publisher collected a number of his pirate stories and illustrations and published them as Howard Pyle's Book of Pirates (1921). Pyle was widely respected during his life and continues to be well regarded by illustrators and fine artists. Vincent van Gogh, a contemporary, wrote in a letter to his brother Theo that Pyle's work "... struck me dumb with admiration." 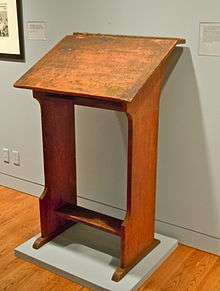 "As time passed, Pyle's historical position as the founder of a distinctly American school of illustration and art, as the innovator who introduced the total-design approach, and as the great reinventor of children's books, would outshine any single work he did, so that he is remembered less for any one project than for his total stance." He had a lasting influence on a number of artists who became notable in their own right: N. C. Wyeth, Frank Schoonover, Thornton Oakley, Allen Tupper True, Stanley Arthur, and numerous others studied under him. According to Robert Vitz, the Howard Pyle School of Art developed a common set of themes in its work: attention to realism, and expression of optimism and a faith in the goodness of America. His work also continued to inspire well after his death; for example, comic book artist Tony Harris (born 1969) has cited Pyle as a major influence on his work. Although Pyle is remembered primarily as an illustrator, his books (particularly The Merry Adventures of Robin Hood) have been analyzed for their literary qualities. Taimi M. Ranta and Jill P. May have examined their influence on children's literature. May writes from a feminist sensibility. Susan F. Beegel has studied Pyle's influence on Ernest Hemingway. Alethia Helbig has reviewed Pyle's poetry, which has not been as highly valued as in his own time. "has all the marks of a good historical novel: it has an exciting plot, with ample conflict and believable characters; it uses language and dialect appropriate to its setting and the characters; it has a significant, universal theme, and it presents the details of daily life in Germany of the thirteenth century accurately and unobtrusively, making the period real and alive." Unless noted otherwise, all titles are listed in The Dictionary of American Biography. ↑ McDonald, Edward D.; Edward M. Hinton (1942). Drexel Institute of Technology 1891–1941. Haddon Craftsmen, Inc. pp. 126–130. ISBN 1-4067-6374-8. 1 2 Crimmins, Peter (November 16, 2011). "Pirates of pizazz: Delaware Art Museum celebrates century with Pyle's iconic images" (text and video). Newsworks. WHYY. Retrieved November 18, 2011. ↑ Willard S. Morse; Gertrude Brinckle (1921). Howard Pyle: A Record of His Illustrations and Writings. Wilmington, Delaware: Wilmington Society of the Fine Arts. p. v.
↑ The title is a quote from Isaiah 53:3 (KJV), "He is despised and rejected of men.". ↑ Shapiro, Marc (August 1997). "Wizard Profile: Tony Harris". Wizard (72). p. 208. Coyle, Heather C. (2011). Howard Pyle: American Master Rediscovered. Wilmington, DE: Delaware Art Museum. ISBN 9780977164431. May, Jill P.; Robert E. May; Howard Pyle (2011). Howard Pyle: Imagining an American School of Art. University of Illinois Press. p. 262. ISBN 978-0-252-03626-2. 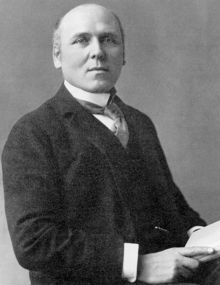 Wikimedia Commons has media related to Howard Pyle. "Thor and Hymir's Fishing". Illustration for Harper's Magazine, 1902.